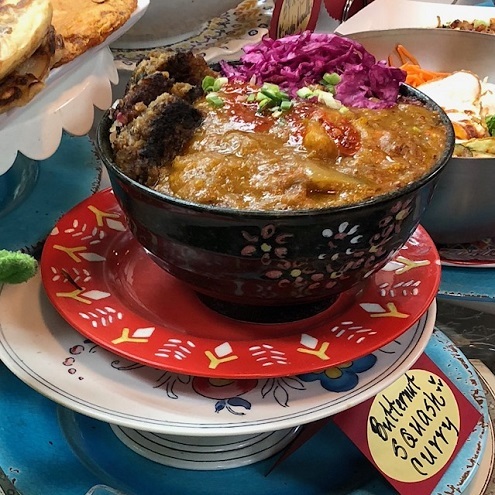 Needless to say it’s been quite a year, but that hasn’t stopped this blog from (slowly) ticking along and trying some of the latest and greatest places in addition to visiting some Silver Spring and Wheaton staples. And while we haven’t been able to contribute to this blog as much as we wanted to in the year that was 2017, all I can say is #TiredParents. Suffice to say I think we’ve had a year’s worth of Domino’s pizza between all of our son’s friends’ birthday parties. Anyway, onto the list! You see, the trick on dining out for Valentine’s Day is to go the day before Valentine’s Day. 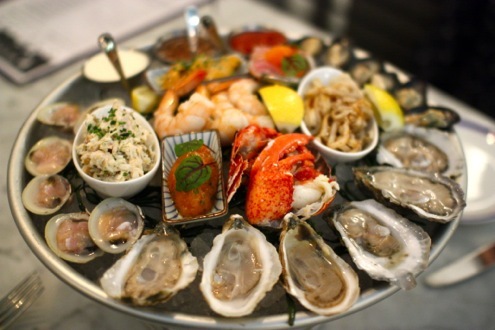 Besides that helpful tip, be sure to order the exquisite seafood tower from Whaley’s on your next visit to Navy Yard. A small tower is plenty for a party of two, and between the smoked catfish, squid salad, clams, mussels, shrimp, arctic char crudo and tartar, and last but not least, lobster tail…. well, you get the idea. Seafood towers are the best. Is there a more decadent dish than this in the District? No, no there is not. This is as good as it gets, folks. Eric Ziebold works wonders at Kinship and the lobster French toast is no exception. 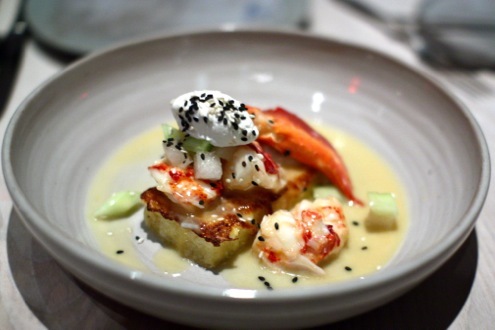 The buttery lobster pairs perfectly with the Fuyu persimmon and dollop of sesame mousse atop the buttery French toast, so much so that it justifies the $30 price tag. You’re most likely there for a special occasion anyway, so just get it. It’s also the perfect dish to hold you over while you’re waiting for that amazing roasted chicken. Mike Isabella is everywhere. Like, literally everywhere. 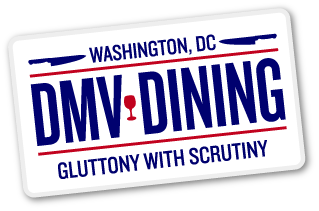 And I’m not talking about his multiple restaurants in D.C., Maryland, and Virginia. Or even Isabella Eatery, his highly ambitious food hall in Tyson’s Galleria. Nope, I’m talking about his Jersey influences being stationed in Nationals Park with an outpost of G by Mike Isabella. The hoagie shop dishes out classics like his roasted cauliflower sub but it was the Seoul Stopper, a limited offering, which got me to visit his baseball venue not once but twice this season with the same order. Turns out NBC4’s Eun Yang was behind the recipe for this incredible sandwich courtesy of Isabella’s Sandwich Madness competition for charity. 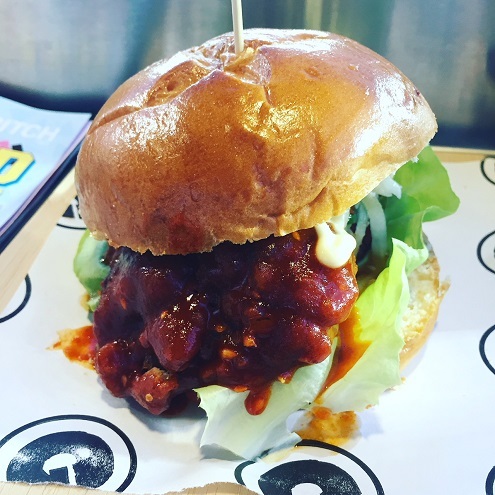 Composed of an enormous fried chicken thigh, Korean radish salad, gochujang glaze, and kewpie mayo, one could easily split this behemoth of a sandwich. Based on appearance alone it garnered enough interest from fellow Nats fans asking where I got it from. These are the some of the tastiest if not messiest wings you’ll find in the city. 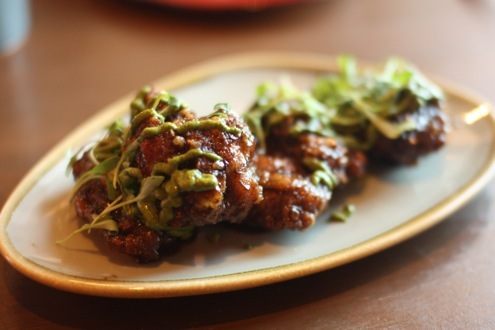 The triple-fried, organic free-range chicken wings from the restaurant featuring all things bird-related are bathed in a black sweet chili sauce and topped with cilantro. Ask for extra napkins, wet naps, and then more napkins. 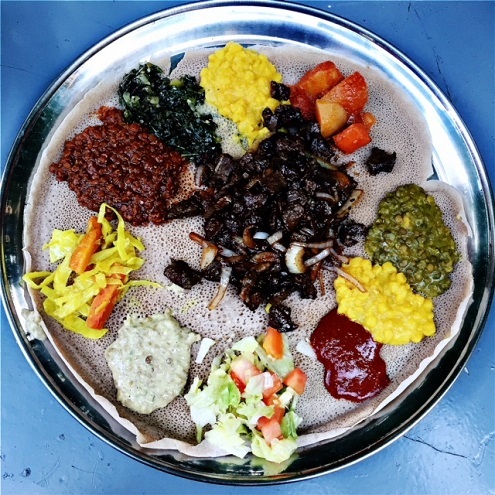 It’s no coincidence that Tom Sietsema dubs Silver Spring as “Little Ethiopia” as establishments like Bete consistently deliver some of the best Ethiopian fare you’ll find in the DMV. The goden tibs and veggie combo is the ideal pairing for a dinner for two. The array of collard greens, cabbage, split peas, lentils, carrots, and potatoes complement the wonderfully marinated beef tibs while you’re trying to wrap it all up in the injera. Incredibly filling and highly affordable given both the quality and quantity of food provided. If you get a chance to go out on a warm night, be sure to grab a spot in their adorable backyard patio! 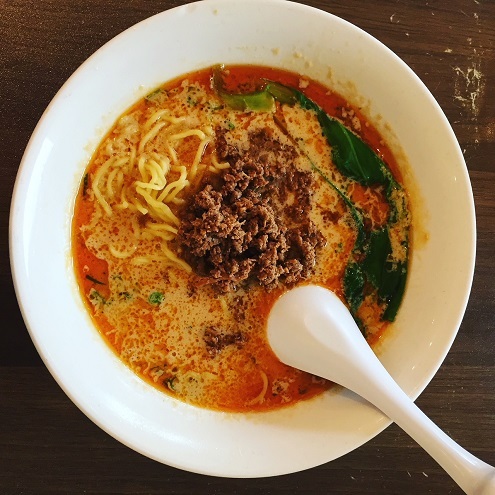 We already know Ren’s is a Wheaton staple and arguably serves up some of the best ramen in the metropolitan area. You see, the thing is I’ve never deviated from the standard menu at the cash-only shop until recently and ordered this gem from their specials menu. Comprised of sesame paste, hot sesame oil, Bok choi, scallions, and ground pork, there’s no turning back now. Between the wonderful miso/chili broth and heaping mounds of ground pork, this is my new go-to from here on out as long as it stays on the specials board. Chef Kyle Bailey is crushing it at one of the best new restaurants to open this year. 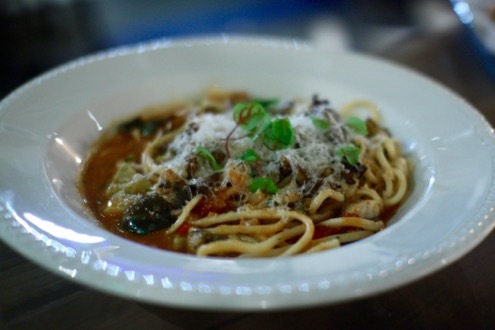 This New England-inspired oyster house also makes some terrific homemade pastas and the eel cacciatore bucatini is no exception. Prepared with barigoule artichokes, hen of the woods mushrooms, and idiazabal cheese, the meaty pieces of eel wonderfully complement the thick, freshly-made pasta. Cedric Maupillier’s excellent venue in Shaw is arguably our favorite restaurant in the District between the outstanding food and affordable prices. 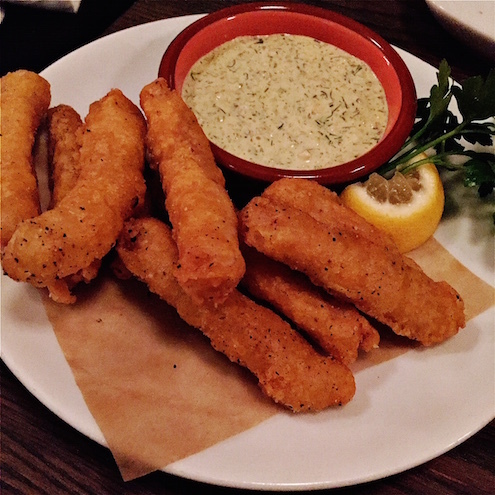 On a recent visit we started with the snakehead fish sticks, at considering they are listed under the “Nibbles” category, they are no by means a small portion! The “first bites” category on restaurant menus nowadays tend to be a taste or a tease of what’s to come from the chef. This dish includes a hefty portion of fresh snakehead deep fried with homemade tartar sauce. These are reminiscent to the type you had as a kid growing up, with a meaty and satisfying texture. This seafood restaurant has established itself as one of the better options in the Montgomery County suburb as they are consistently churning out great New England fare in a family-friendly environment (case in point, our server brought over a treasure chest full of toys for our kids to play with!). And you can’t go wrong with the trademark fish and chips. 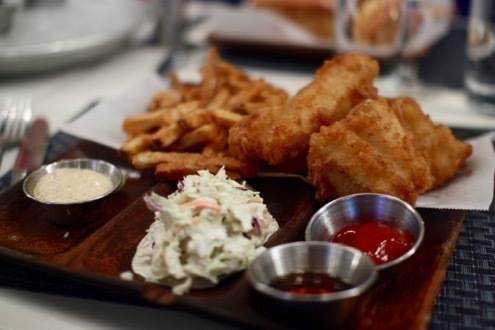 Prepared with battered cod and accompanied with house cut fries, one bite of the crispy, flaky filets of fish makes you think you’re in Cape Cod instead of downtown Silver Spring. While Jose Andres has been working his way to sainthood with his charitable work in Puerto Rico, his D.C. restaurants are humming along without missing a beat. His flagship location of Jaleo in downtown Washington demonstrates why you always keep coming back to the classics. The paella is easily worth the 45-minute wait. 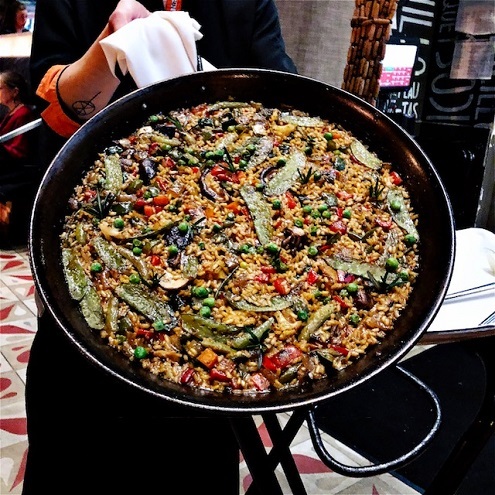 Whether you opt for the vegan version like we did (as we had a paella-craving vegetarian dining with us), or choose the original rendition with pieces of chicken and rabbit, this vintage recipe is cooked to perfection and makes for the ultimate dish to share amongst your party of four (or more). Rachel and I love Seoul Food. Like really, really love it. It’s bittersweet as they’re moving from their Wheaton gas station outpost to a full-fledged storefront in Takoma Park next year, so needless to say we’re taking advantage of their convenient location just minutes from our house while we can. The butternut squash curry is one of the best fall dishes you will find in the DMV. And I’m not using hyperbole here – it is utterly outstanding. Between the freshness of the butternut squash, hints of cinnamon and nutmeg, and just the right amount of spice, it’s a heaping bowl of deliciousness that equally provides as great comfort fare for the cold months ahead.